You may be disappointed if you are looking for Ninetology Black Pearl 2 Jelly Bean firmware. The good news is you can update your Ninetology Black Pearl 2 to Android Jelly Bean. Thanks to its French twin brother, Wiko Cink Slim latest firmware Android Jelly Bean. Ninetology Black Pearl 2 and Wiko Cink Slim are identical smartphone designed by Korean company Enspert and manufactured by Chinese company Tinno. Therefore, Wiko Cink Slim's Jelly Bean is perfect fit for Ninetology Black Pearl 2. Before you begin updating your Ninetology Black Pearl 2, we advice you to backup all your personal data (contacts, photos, etc.) because the update will erase all data and resets your phone to default settings. Fully charge the battery and turn off the phone. Download Android Jelly Bean and update tools. Unzip the archive file (WIKO_MAJ_CINK_SLIM_JB_159753.zip) after download completed. Double click spinstall.exe to install driver for your computer to recognize the hardware of your Black Pearl II. Select MT6577_Android_scatter_emmc.txt under the folder WIKO CINK SLIM JB. Click Open button. Click on Firmware -> Upgrade, and then plug your BP2 using micro USB cable. 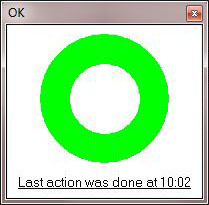 A green circle window will pop up after finished. For the first start, an update of the touch screen is required. So it take a few minutes longer to boot up. DO NOT touch the screen until the update is finished. After the update, you may close all opened windows and disconnect the phone. Congratulations! You have successfully updated your Ninetology Black Pearl 2 to Android version 4.1.1 Jelly Bean. halo,i have a question want to ask you,why my phone Ninetology black pearl II before upgrade to Android 4.1 jelly beam can root my phone,but after upgrade to Android 4.1 cannot root my phone,i wish you can give me the answer and give me how to root ninetology black pearl II after upgrade to Android 4.1. thanks. After the green circle is seen on the pop up window, what do I do? number 10 is unclear to me. Am I supposed to start my phone or what? THanks. Okay so after updating, I lost all my applications, and all my sms and phone contacts. Its like a brand new phone with jelly, at least thats the good part. But I lost my contacts, and everything else that's important. I'm not able to root my phone as well. Thanks simon! I got it to root finally from ecophoneblog. Easy as pie. it cant work with my phone =( wat happen ? Update Wiko CINK SLIM take very longg time --'. Im not really sure about this. The whole process won't involve with the imei number. Where did you came across this message? thank you so much sir! before this my bp2 has already damaged. it stuck at 9 logo after reboot and cannot do anything. after i tried your update/solution. my phone works! i dont have to buy new one!! thank you so much!!! but it stuck and didnt do anything when it come to the process after i click firmware upgrade...wat happen ? anyone help !! InstallDriverWithWDK Failed. Try another method. please make sure all necessary are checked to be downloaded for "firmware upgrade'' after i clicked on firmware upgrade...hows it happen and how to solve it..please! sorry to interrupt. all the download link that you gave is not available anymore. could your give the latest?